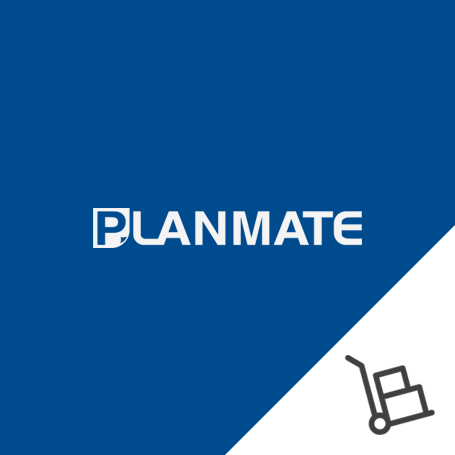 Combine the purchase of a Planmate mobile Plan Filing Rack and a box of Planmate Plan clamps and save up to 25% . We currently have 4 offers available of Plan Trolley and Plan Clamp bundles. Call us on 1800 988 885 if the bundle of your choice is not offered as a standard option and we will quote a custom discounted price . Conditions apply. The Planmate Plan Clamps feature a triple wing nut securing system for extra holding capacity. It will hold plans up to A1 size (841mm x 594mm) on their short edge. Planmate Plan Clamps are guaranteed for 10 years against faulty parts and workmanship. If they prove defective under normal use we will replace them free of charge!.